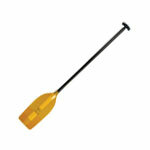 Entry level canoe paddle, alloy shaft and plastic blades. Alloy shaft with strong plastic blades. 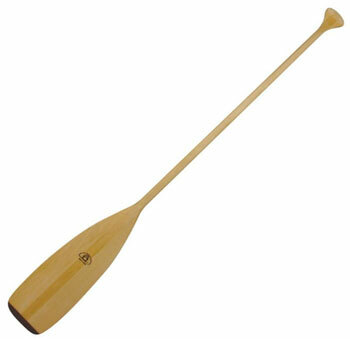 Lightweight basswood paddle with Beavertail shaped blade. 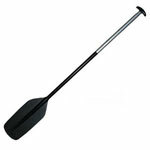 General purpose basswood paddle with square shape blade. Multilaminate wooden general purpose paddle made with Cherry, butternut, ash and bass. Multilaminate wooden general purpose paddle made with Cherry, bass, walnut and ash. 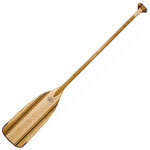 The Sagamore is a deep water touring paddle made with black cherry wood. 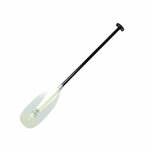 Fibreglass canoe paddle for technical river runs. 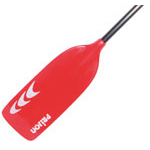 Versatile canoe paddle for recreational and whitewater canoeing.